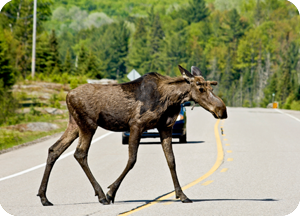 HFN was retained by HDR / iTRANS for the Ministry of Transportation of Ontario (MTO) to provide human factors input to a study of countermeasures to reduce animal collisions on Ontario highways. 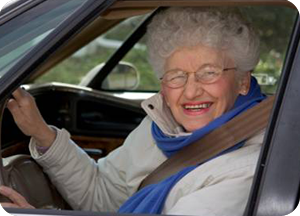 Human factors issues included driver limitations with respect to visibility with low beam headlights and driver expectancy. 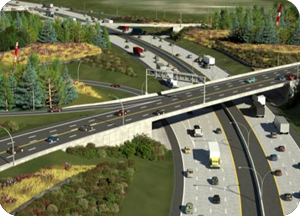 HFN was contracted by HDR / iTRANS for the Ministry of Transportation of Ontario to provide human factors input to a new freeway that will connect Windsor and Detroit at a new border crossing. Human factors issues included: driver workload in the area of closely spaced interchanges, driver visibility through tunnel sections, and driver lane changing requirements for connections between the new freeway and the local roadway network. The Ministry of Transportation of Ontario (MTO) contracted HFN to carry out an evaluation of its demerit point system and its senior driver renewal program, to assess their effectiveness from both a safety and operational perspective. The evaluation involved a literature review, surveys of practices in other jurisdictions, and statistical analysis of Ontario driver records to determine the effectiveness of various demerit point models in identifying high risk drivers. 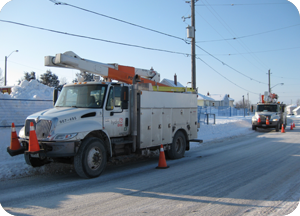 HFN was contracted by Hydro One Networks Inc. to analyze their accident database to determine crash rates and to compare them to those of the general public, to identify crash patterns and to recommend appropriate countermeasures. 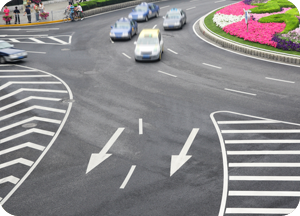 HFN was retained by Transport Canada to address the various impacts of roundabouts through a literature review and brief telephone interviews with transportation personnel in Canadian and U.S. jurisdictions. Knowledge gaps were identified and policy recommendations were made. 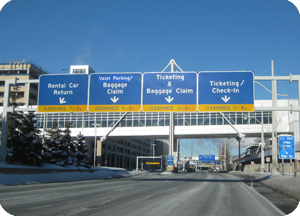 HFN was retained by Gresham-Smith for the U.S. Federal Aviation Authority (FAA) to provide human factors input to wayfinding and signing guidelines for airports. Issues considered included conspicuity, legibility, comprehension, information load and appropriate methods of evaluating a wayfinding system. 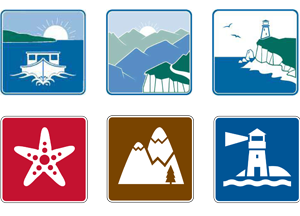 HFN was retained by the New Brunswick Department of Tourism and Parks to help develop a new symbol set for its Scenic Drive signage. HFN worked with Entro Communications to develop new symbol concepts that were easy to understand, legible at a distance, easily differentiated from other symbols, identifiable as a set, and representative of what visitors will expect to see on the drive. 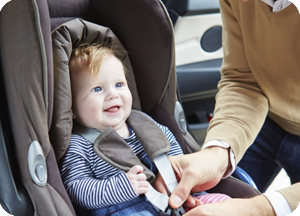 Despite advances in motor vehicle and child restraint system (CRS) design, car crashes remain the leading cause of death for children in Canada. HFN partnered with CAE Professional Services, Inc. on a Transport Canada project to design and evaluate a set of enhanced CRS and booster seat instructional labels. Results showed that the enhanced labels performed better than current labels in terms of the percent of correct installations, lower error scores, and lower injury risk. 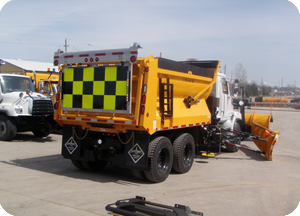 HFN was retained by HDR Corporation, on behalf of MTO, to evaluate the visibility of a new conspicuity panel for snowplows. Tests were carried out to select an optimum conspicuity panel colour/reflectivity and lighting combination based on 1) day/night conspicuity ratings and 2) day/night ease of perception of closing velocity in visually cluttered urban vs. rural backgrounds. Recommendations were made for the best conspicuity panel alternative, and have been accepted by the Transportation Association of Canada for application Canada-wide. Grand River Transit contracted HFN to carry out a two-part study to determine the effects on safety and musculoskeletal injury risk of having bus operators make stop announcements. Part 1 involved an on-road study with in-service buses to assess the level of distraction caused by carrying out manual stop announcements. Part 2 involved assessing the physical requirements related to using the new and existing microphone systems, determining ideal placement of the stop sheet, and assessing vocal strain associated with manually calling out stops using an amplified system. HFN was contracted by the Transportation Development Centre (TDC) to manage a field study in Quebec, Alberta and California of a comprehensive Fatigue Management Program involving 1) educational sessions at all levels of the trucking company, 2) sleep disorder diagnosis and treatment, and 3) interaction with dispatchers and management to improve dispatch practice with regard to fatigue. 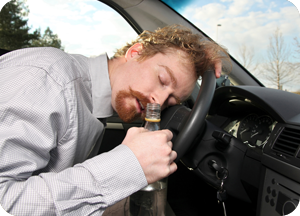 The goal was to assess the feasibility of a company-wide approach to fatigue management and its impact on drivers’ fatigue, performance, sleep duration and mood, as well as on company performance measures, scheduling policies and practices. Human factors and performance issues are important safety considerations relevant to any complex system, including the nuclear industry. 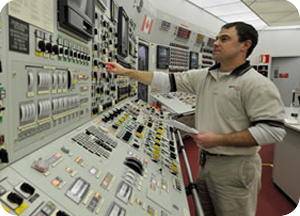 HFN was contracted by the Canadian Nuclear Safety Commission (CNSC) to review their existing hours of work and fatigue management criteria, and to recommend improvements based on scientific evidence and benchmarking. Roads have typically been designed primarily for drivers of motorized vehicles but every trip begins and ends with road users as pedestrians. Bicycles have been used as a primary means of transportation in Europe and Asia for many generations and they have more recently become very popular in North America for recreation and commuting. Research has shown that people walking and cycling have a significantly higher fatality rate as compared to those who drive passenger vehicles . This course will focus on the underlying perceptual limitations of drivers, pedestrians, and cyclists that contribute to collisions and explore effective countermeasures that can reduce the frequency and severity of collisions involving pedestrians and cyclists. 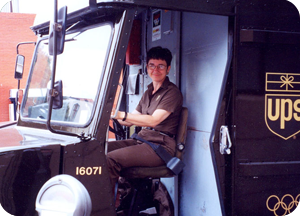 Dr. Alison Smiley prepared an expert report concerning the safety of monocular (one-eyed) parcel van drivers in a case in which UPS was sued by the U.S. Equal Opportunity Commission. Issues considered included: the demanding nature of the driving task in downtown environments with frequent stops in areas with many pedestrians, the impact of monocular vision on depth perception and field of view, and published studies examining performance and crash risk in relation to monocular driving. Thomas Smahel prepared an expert report concerning visibility issues that contributed to a collision between two cyclists on a recreational trail. 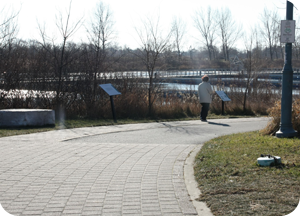 Issues considered included: visual search behaviour on curves, impact of view obstructions such as nearby trees and shrubs, cyclist familiarity with the recreational trail, perception-reaction time, stopping sight distance requirements, and traffic control devices such as signs and pavement markings that can be used to delineate paths of travel.